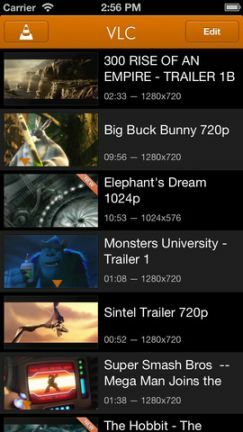 VLC for iOS can play all your movies and shows in most formats directly without conversion. VLC for iOS app comes with new features including Wi-Fi upload, Dropbox integration, AirPlay support, realtime video filters, playback speed manipulation, subtitiles and more. • Wi-Fi Upload – you can upload media files to your iOS device over Wi-Fi. • Video Filters – You can adjust brightness, contrast, hue and saturation in real-time. • Download files from web for offline play. VLC announced that Google Drive and SkyDrive support will be available in next releases. VLC for iOS is now gradually rolling out in the iTunes App Store in many countries. It is completely free and it requires iOS 5.1 or later.